Public education is a relatively new phenomenon in the United States and until 1840 private schools were the rule. By 1870, however, all states had a public education system in place, and although enrollment varied widely, especially in rural and urban areas, the foundation had been set for a system which was designed to provide the Three R’s and the basics of a civic and religious education. An educated populace, reasoned decision-makers, was the sine qua non of the new, vigorous, and ambitious nation. Without a universal subscription to American values, and an inclusive policy of providing educational and eventually economic opportunity for all, the country would founder. Public education was designed to complement family instruction. Families had the primary responsibility for instilling a sense of respect, diligence, hard work, and a desire for academic excellence in their children. Churches provided the moral, ethical, and spiritual context for citizenship. Schools were designed to provide a sound flooring for future individual learning and enterprise. The one-room schoolhouse offered the most basic education, since children of varying ages were thrown together in one class. Only the most talented and inventive teachers could find the time and interest to single out individual students. 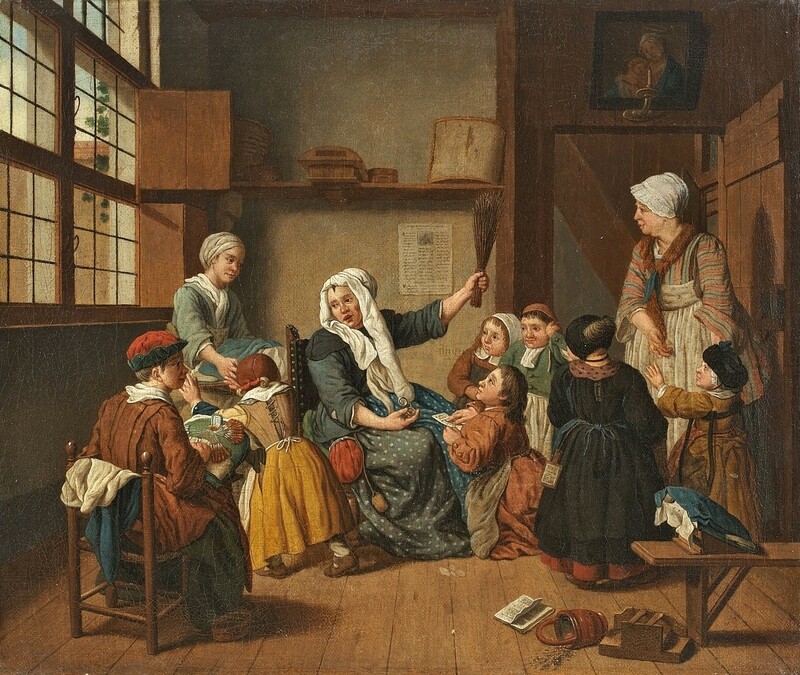 Once demand for public education increased, and schools were able to provide age-appropriate education, children benefited from more demanding work. Later, grade levels were further divided into groupings – fast learners were separated from their slower classmates so that they could take the most from their education while allowing ‘special’ attention to be given to those less talented. These groupings became even more subdivided, and as long as the teacher-student ratio was reasonable, all students profited. This education never attained the performance of private schools which were able to pick and choose the most able and talented; but it was acceptable. Throughout the early years of public education and up till the the middle of the Twentieth Century, most classrooms were homogeneous – i.e., white. Although there were normal differences in intelligence and ability, and a certain diversity in economic status, all children still subscribed to the same consistent majority norms of social behavior. Schools faced their most serious challenges when civil rights legislation of the 1960s opened the doors to black children. These children of poor, previously disenfranchised, and socially marginalized families represented the lowest common denominator of educational attainment, for they had none of the advantages of white families or especially the ambitious and demanding parents of European immigrants. The public schools were definitely separate and very unequal. The challenges increased when ‘separate but equal’ schools were disallowed and classrooms became more diverse. Teachers suddenly had to teach students whose potential and performance fell off the bottom of the scale. More and more time, resources, and attention was invested to make this new model of public education work. Schools had become laboratories for racial integration and less places of learning. Not surprisingly, those white families who could bail out of schools whose academic performance deteriorated and whose social environment became more and more foreign, did leave for religious and private schools. Educational ‘Academies’ in the South sprang up everywhere as refuges from schools with increasingly dysfunctional minority students. While often criticized as racist, this white flight was no different from that of Washington, DC today where families – white or black – flee the public school system for a better education. Equally predictably, the public education system is now more segregated by race than it ever was. To complicate matters, liberal educators, administrators, and university academics sought to enforce ‘diversity’ on classrooms as a way of redressing the de facto segregation that had become an embarrassment. Busing and affirmative action programs sought to force integration and by so doing introducing children from an entirely distinct and remote social environment into formerly culturally homogeneous schools. In other words, teachers had to deal with children who had not been raised according to majority norms of discipline, respect, and honesty; and discipline and control became more necessary than teaching. Taxpayer money followed and disproportionate amounts were invested in those children with ‘special needs’ – i.e. children who came to school ill-equipped and ill-prepared for even a basic education. As a result, even more parents fled the dumbing down of public education, the enforced cooperative learning, and the increasing demoralization of bright students. All of which brings us to the present day when there is finally a universal acceptance that public education is not working. Huge swaths of Washington, DC and other major cities have black-only public schools where learning is at a premium and penal enforcement is the rule. The few successful public schools in DC provide a reasonable education because of white parent involvement – activist PTAs, significant contributions for resource teachers, and a high level of parent badgering. Most of these white parents know they are getting a good deal, especially if their children are average students. Even with supplementary contributions and opportunity costs, it is still cheaper than private school. The most vocal supporters of public education are those progressive parents who believe that public education is a good thing per se. A public school, they say, is perhaps the only place where white and black children will interact. So what if the black children are ‘out-of-bounds’ kids from poorer, culturally distinct areas of the city; and conflict with the majority norms of the school? This is what diversity is all about, they say, learning to live with those different from ourselves. This high-minded position usually erodes quickly as even the more affluent schools decline in performance. In a very unholy alliance, progressives and teachers unions have joined to block voucher programs and even charter schools. The unions have only venal self-interest as an argument – flight to the private sector means fewer jobs for public school teachers. Liberals cling only to faded ideal of racial, social, and economic harmony. So what, then, is the purpose of public education today, and why should it not be replaced by a purely private one? Washington, DC spends over $10,000 per capita per year on its students; and that money could easily buy a good parochial school education. Most families would take the city up on its offer, new schools would be accredited and would provide education appropriate for their new clientele. Should the public school, as progressives insist continue to exist for philosophical reasons? Is it truly a crucible for inter-racial understanding? Hardly. If anything, affirmative action and so-called ‘inclusivity’ only tends to alienate white students. More to the point, racial distinctions will persist until black income approaches that of white. In America money is the great equalizer. Racial tolerance and respect comes when you work with a black lawyer, accountant; or have your cavity filled by a black dentist; or have your gall bladder taken out by a black surgeon. The marketplace is the only real crucible for social change and a more equal society, not the hothouse laboratory of the school room. Private education is the only way out of the educational morass in which America finds itself. Offering educational opportunity to those families who prize it is far more important than continuing to support poorly-performing public schools. Thomas Sowell writing in The National Review (Not for the Children, 8.13.13) has cited many noteworthy efforts to provide a quality private education to minority students, such as The American Indian Model Schools in Oakland. Despite these and other successful minority private school endeavors, their founders and supporters have come under attack by both teachers unions and the liberal establishment. Why? They are offering a clear, viable alternative to failing public education. Yes, privatization will serve to concentrate dysfunction and the only schools left in the public system will be holding pens in the inner cities. Yet this problem is not an educational one. It is an economic and social one. Only when these marginalized communities reject entitlement, victimhood, and righteous indignation about the past; subscribe to majority American values; and dismiss all vestiges of negative ‘street’ culture, will they join the economic mainstream.